The Early Bird meetings are this Monday, Tuesday and Wednesday (Nov. 18, 19 and 20, 2013). The meetings are located at Morganfield (Monday), Sedalia (Tuesday) and Hopkinsville (Wednesday). Even with tornado damage in the Union County area, turnout is respectable at the first of the three meetings. Topics include the latest research results on disease management, weed management, soil fertility, proper grain storage, insecticides and the challenges of looming high rents and lower commodity prices. Each of the three meetings starts at 8:30 am and ends with lunch, which is sponsored by the Kentucky Corn Growers Association, Kentucky Soybean Board and Kentucky Small Grain Growers Association. Click here for more information about the meetings. The 2013 Kentucky Corn Yield Contest deadline has been delayed until November 29, 2013. 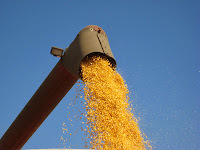 We have several farmers who still need to harvest corn and want to enter the contest. Corn harvest across the state has been delayed this year and that prompted the extension of the deadline. This Kentucky deadline does not change the NCGA Corn Contest, which has a deadline of November 22, 2013. The test includes hybrids in the early, medium and late maturities as well as a white corn test. Yields from five locations across Kentucky are reported this year. Yields were excellent. The average yield was 181.8 bu/A for the Early Test, 186.8 bu/A for the Medium Test, 203.5 bu/A for the Late Test and 156.3 for the White Test. 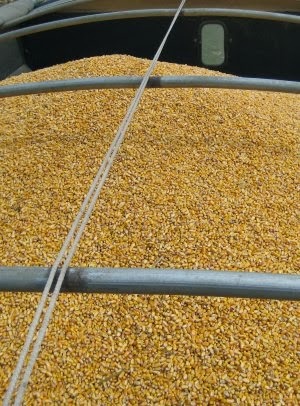 Based on 2011 estimates, corn for direct food consumption was about 5 to10% of total U.S. production. Fuel ethanol was 38%, feed and residual was 38%, and exports were 14%. (Source: USDA-ERS Yearbook). 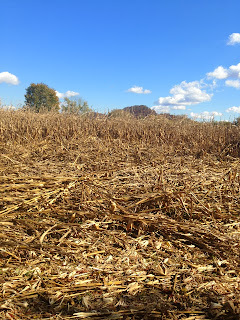 Corn downed by high winds on October 31, 2013. October left with a blast. High winds across the state blew in odd directions and over some corn fields. We knew this was going to be a risk this fall. The heavy ears, shallow roots and slow drydown all created a risk for downed corn. The high winds also brought rains, meaning that harvest will not resume for several days. What can we do now? We can start by inspecting fields. Identify the fields where corn is down and fields where corn is standing. If corn is standing, check stalk strength with the grab test. (Grab the corn stalks at shoulder height, pull or push about 18 inches off center and release. If the corn stalks remain upright, stalk strength is good. If not, stalk strength is weaker.) Identify the grain moisture in all fields. 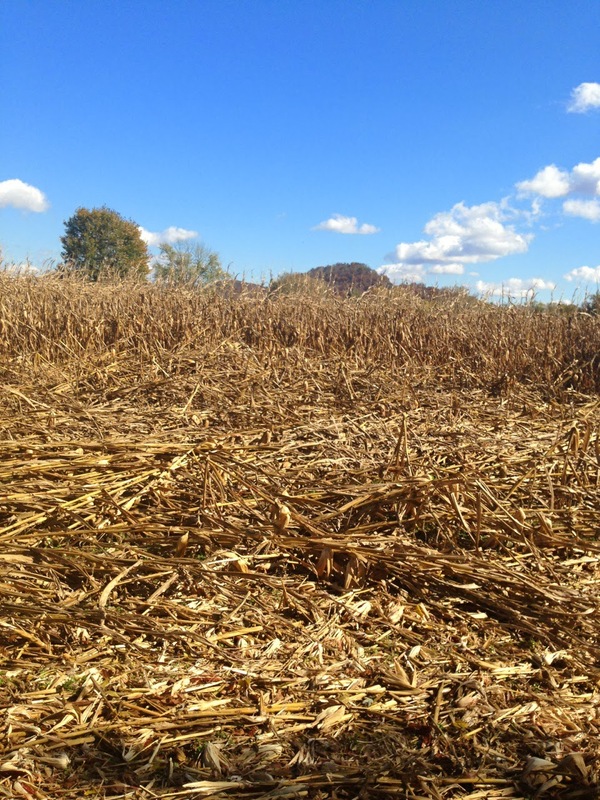 The freezing temperatures wilted leaves and killed soybeans in some fields across Kentucky. Now that temperatures have warmed up again, we can better determine how to manage the crop from here. The vast majority of soybeans were done growing and seeds were in the process of drying down. Those plants were at full maturity where the leaves had dropped, the pods were brown or tan and the seeds were yellow instead of green. Seed moisture was less than 20%. For those soybeans, the freeze events delayed drydown a little but did not harm the plants or the yield.